Our Vision Statement: Great Lakes Veterinary Clinic will be known for excellence in outstanding client service and compassionate patient care. Our Mission Statement: Great Lakes Veterinary Clinic is a hospital where veterinarians and staff members join together to promote the health and well-being of our patients. We strive for honest, open, and respectful communications between doctors, staff, and clients in order to insure the best possible patient care and service. About the Team: The team of Great Lakes Veterinary Clinic is what sets us apart from other veterinary clinics and hospitals in the area. Because we absolutely love what we do, most of our staff have been with Great Lakes Veterinary Clinic for many years. Those of us who are newer plan to stay for many years to come. This means that we are able to work together as a team to provide you with more consistent, cohesive treatment and service. Dr. Randy was born the sixth of seven children on an Iowa pig, cattle, and horse farm, and is married to Dr. Sue Van Maanen. Having a love for all the animals on the farm lead to an obvious career in veterinary medicine. He earned his undergraduate degree from a small Christian college in northwest Iowa. He lives in Appleton with his wife Julie and his two daughters (Jillian & Kaitlyn). They all own a Springer Spaniel named Spike and 2 Cats - Kidani & Simba. Before coming to Great Lakes, Dr. Jeff practiced in various locations in Wisconsin, Did you know that Dr. Jeff started out as a Dairy Cow Veterinarian? Dr. Jeff became a part of the Great Lakes Team in 2000. Dr. Sue grew up in a family of 7 children where life was never dull. Even though her parents were not animal lovers, Dr. Sue knew from a very young age that veterinary medicine was the career for her. She attended Iowa State University for both undergraduate and post graduate studies. It was during vet school that she met and married her husband, Randy, in 1989. Following graduation in 1991, Drs. Randy and Sue practiced in Cedar Falls Iowa for 2 years before moving to Wisconsin. They began the small animal practice at Great Lakes Vet Clinic in May 1997. Dr Sue enjoys spending time with friends and family. She shares her busy life with 5 children, two dogs, one cat, one guinea pig and two horses. Dr. Sue loves her dual careers of motherhood/wife and veterinarian. She was born and raised in Neenah Wisconsin and continues to live there with her Husband (Peter) and her two sons Ryker & Isaac. Jamie is a long time member of the Great Lakes Staff. 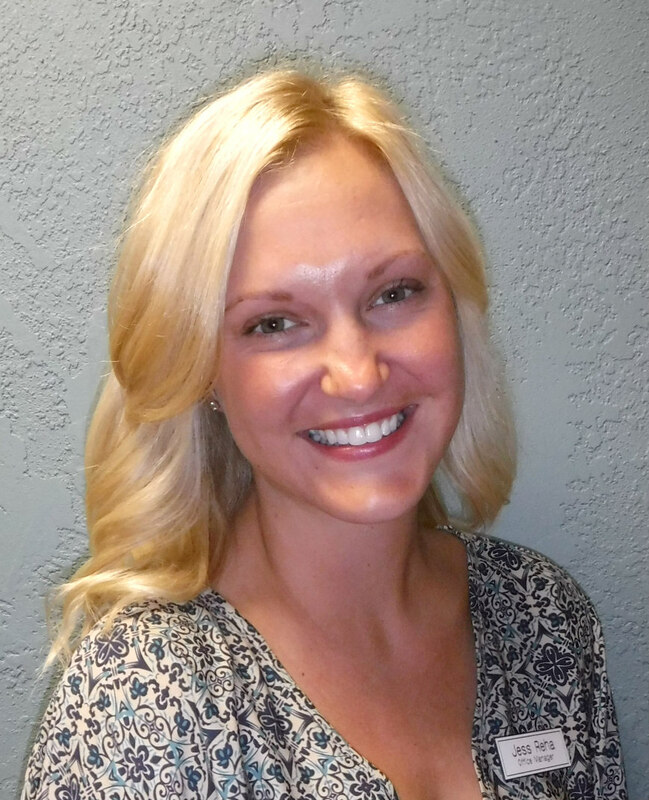 She actually started as an assistant in the clinic while she was in High School, and continued with us through her pre-veterinary studies at UW-Oshkosh. She even returned a few summers while still in Veterinary school. 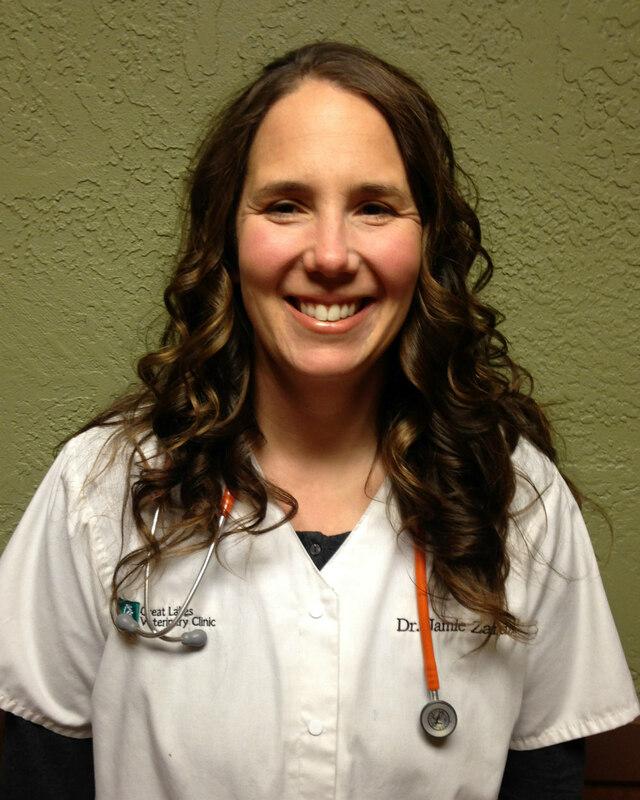 Dr Jamie went on to complete her Internship at the University of Minnesota Veterinary Medical Center. After graduation she became an associate equine veterinarian for Great Lakes and later worked for Great Lakes Equine Wellness Center. Jamie thought it was time for a change with her new son Ryker keeping her busy she decided to change to small animal medicine. In January 2009 she joined us part time, as a small animal veterinarian. Jamie's also has a variety of pets, a horse, 3 cats ,a dog, chickens, pigs, a guinea pig, a rabbit, and a gecko to help keep her busy. Dr. Shaw was born and raised in a small town outside Omaha, Nebraska. Growing up, Dr. Shaw always had a passion and love for animals and knew at an early age she wanted to be a veterinarian. Dr. Shaw attended college at The University of Kansas where she received her Bachelor's degree in Biology. She then received her Degree of Veterinary Medicine from Kansas State University in 2009. Dr. Shaw and her husband then moved to Florida for a year where she completed a small animal rotating internship. Following that, they decided to move back to the Fox Valley where her husband is from to focus on starting their own family. Dr. Shaw worked as a small animal emergency and critical care doctor for several years prior to transitioning to general practice. While Dr. Shaw enjoys emergency medicine, she loves general practice and being able to make strong connections with the patients and clients. When Dr. Shaw has spare time with two little ones, she enjoys being active and loves running, biking and going to parks with her family. Her family includes husband Aaron, daughter's Ava and Ellie. Her furry kids include Sammie (Pit Bull Mix), Minnie (calico), Lola (DSH) and Rae (Blind kitty). I started at Great Lakes Veterinary Clinic in September of 2004 as the Practice Manager. My position as the Practice Manager means that I manage all aspects of the business and operations of the practice in concert with the owners. I have a degree from UW Madison in Business Management. My prior experience was with a bank for 10 years as a commercial lender. We have lived in this area since 2002. My family includes my husband, 3 children, our 2 German short-haired pointers named Desi and Lulu, and a horse named Teddy. I graduated in 1998 from Madison Area Technical College with an associates degree in Applied Science. I received my Certified Veterinary Tech. license in Aug of 1998. I joined the Great Lakes Veterinary Clinic team in October of 1999. My position here at Great Lakes is to oversee the team of veterinary technicians, the assistants and the daily patient care. My free time includes spending time with my husband and two daughters who are both involved in many activities, going up north to our family cabin and also continuing to help our community by being licensed foster care parents for Winnebago County. Our family also includes a dog and 3 cats. I began my journey at Great Lakes as a part-time receptionist and a part-time veterinary assistant in 2014. I was able to work in all areas of the clinic and was very excited to gain another role as the Office Manager. I graduated in 2011 with a business degree and currently have 7 years of experience in a veterinary office. I truly enjoy working hand in hand with my dedicated reception team and all the other staff at Great Lakes. My pets include an English Bulldog named Sully and 2 cats named Brad & Mavis. We have 8 technicians, Kim CVT(Head Tech), Carlene, Hannah CVT, Deanna CVT, Kelli CVT, Brooke CVT, Eeva CVT & Dawn. We have 5 assistants Colleen, Stacey, Annie, Reanne and Ashtyn who will help with your dental and surgery questions or any other questions you may have about your pet. Our receptionists Paula(Lead Receptionist), Laura, Stacey, Sadie, Sandy, Hannah and Lori are all ready to take your calls, help you to get the right answers to your questions, and make your appointments.